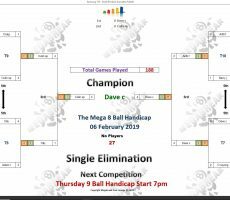 WEDNESDAY MEGA 8 BALL – 6th FEBRUARY : DAVE WINS. 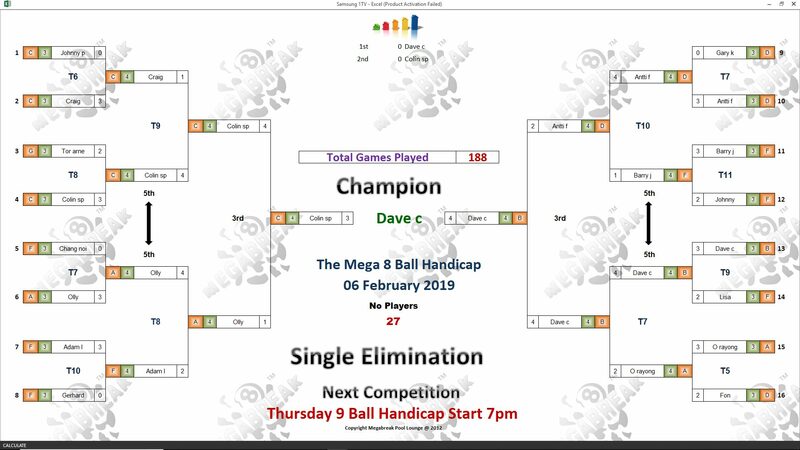 Our second Mega 8 Ball Handicap Competition on Wednesday night was another great success, this time attracting a total of 27 players. 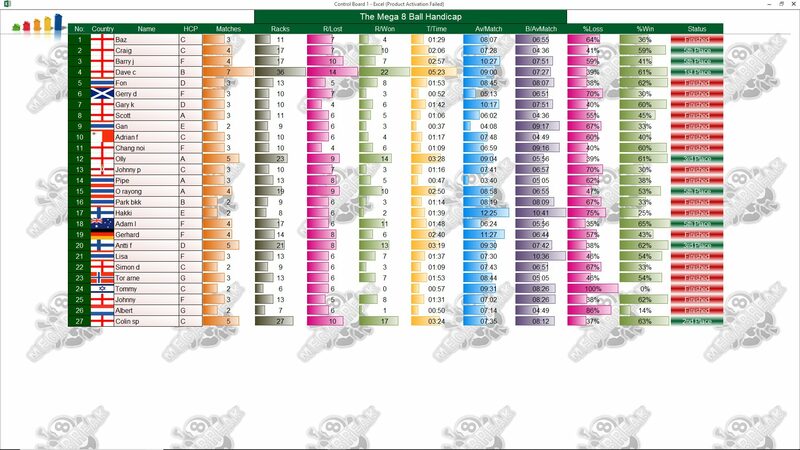 This week’s tournament was dominated by players at the higher end of the handicap scale, with the low handicappers not fairing as well as they did in our inaugural event. 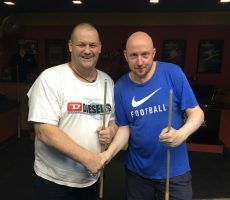 Congratulations go to all the winners, in particular 8 Ball specialist Dave Chalmers from England for lifting the trophy, beating fellow countryman Colin Cooke in the deciding rack of the final. 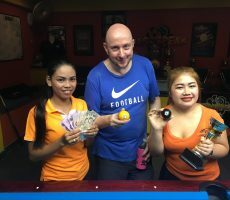 Champion : Dave (B handicap) – 8500 baht. 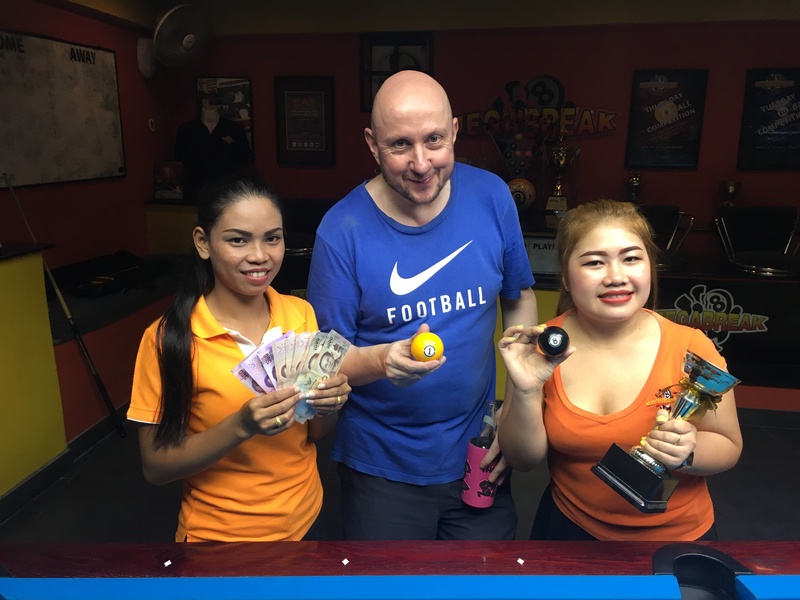 Runner-Up : Colin (C handicap) – 5000 baht. 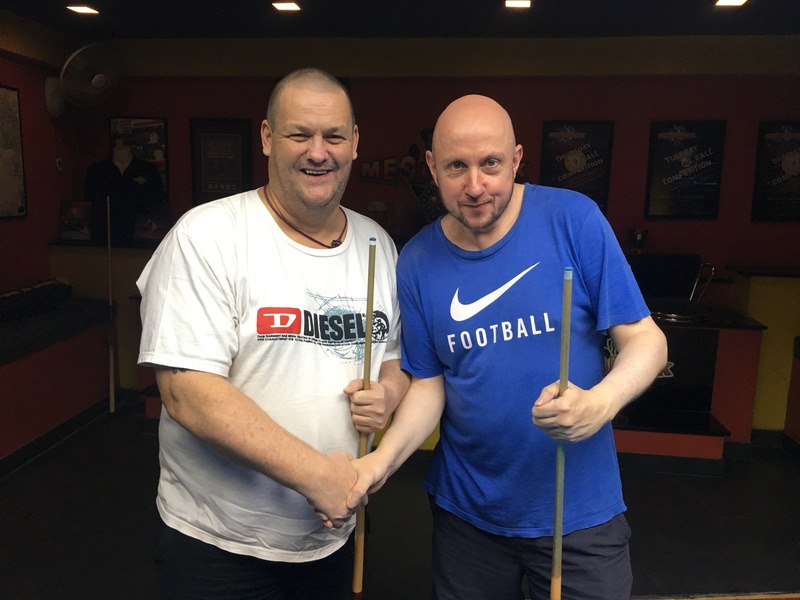 Semi-finals : Olly (A) and Antti (D) – 2500 baht each. 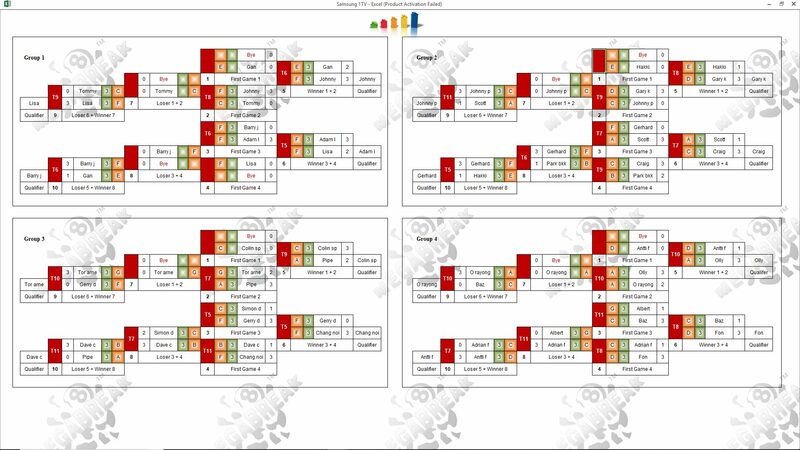 Quarter-finals : O Rayong (A), Craig Jones (C), Adam Lux (F) and Barry Johnston (F) – 1500 baht each. The Player Auction Prize Pot totalled 43800 baht and was won by Tommy Fineman. He paid 2200 baht to get our winner, but the gamble paid off as they shared the 1st Payout of 12200. 1st : Tommy (Dave) – 12200 baht. 2nd : Craig (Colin) – 9000 baht. Equal 3rd : Johnny (Olly) and Hakki (Antti) – 5000 baht each. Equal 5th : Fon (O Rayong), Tor-Arne Fenes (Craig), Barry (Adam) and Craig (Barry) – 2600 baht each.